Learn to focus and live in the moment. In Star Wars episode V, The Empire Strikes Back, Yoda (a wise Jedi Master coincidentally named closely to the word yoga) attempts to train Luke Skywalker to become a Jedi. He is learning to focus, concentrate, and sense things. 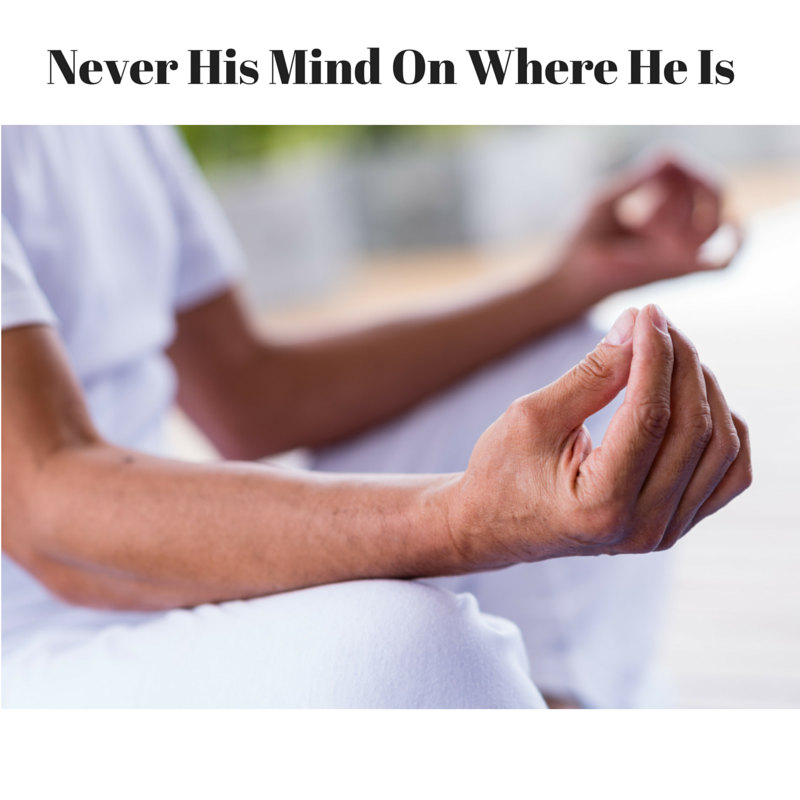 Yoda says, “Never his mind on where he was. Always looking to the future,” I had the same problem, until I started to meditate. Meditation forced me to be in the present moment. Right here. Right now. A partial goal of meditation is to have limited thoughts enter into one’s mind, and if they do, they are allowed to pass through easily. As with Luke, I found this mind training to be incredibly difficult. Our minds never shut off, unless we intentionally train them to do so. This is often accomplished by learning to focus on the breath—inhales and exhales. A deep focus is placed on the breath until the noise, the chatter, fades away and all we can hear is our own rhythmic breathing. It is so calming, so clarifying. Being able to shut down my mind and limit the number of thoughts that randomly appear, in no order, in limitless numbers, proves to be an enormously freeing feeling. By doing this, I can be in the present moment and keep my mind where it’s supposed to be—on most days. Again, I am a striving master—not a perfect one. Dr. Lisa Knowles begins day two of her Star Wars tribute with her tip about mental mind training. Sign up to receive her blog posts as soon as they are listed (sign up form is on the home page–upper right corner). You will receive five more tips in the next five days on how to use the force in your dental practice and in your every day life. Interested in hearing more from Dr. Knowles? Email her or call her. She loves to speak to dental groups and associations. She will be at the Washtenaw District Dental Society in 2016 and at the AAE conference in San Francisco in 2016. Not close enough to you? Call to get her speaker’s packet and have her speak to your group in your state. Email: IntentionalDental@gmail.com. Phone: 517-331-3688.